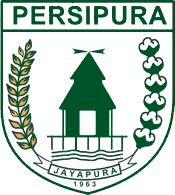 I was going to show you the West Papuan flag but I don't want no trouble, so here's a very un-football badge of Persipura. A post while waiting for Ajax v Manchester United (Ji-Sun on bench and Ajax has no Asian player…can you believe they feature an Armenian forward?). Tonight Adelaide United qualified to the 2012 ACL group stage to enjoy pleasant trips to Osaka, Tashkent, and either Pohang or Chonburi. Despite the current Visit Korea campaigns, Chonburi seems to be more popular for tourists, although it’s unlikely. Besides, I want to see uh, Hwang Ji-Soo and Shin Hyung-Min. Yeah, that would work. And No Byung-Jun on the bench. And uh, Derek Asamoah. The one shot playoff between Adelaide United and Indonesian champions Persipura, shorthand for Jayapura United, was filled with dramas. You might have heard for other places (not here) that Indonesia currently has two top leagues. Last season there was a breakaway league called the Premier League. Guys from the Premier League won the FA management and so made their brand into the official league. Since it would have contained 22 teams, which is ridiculous, most teams stayed with last season’s official league, called the Super League. Some teams had also went into civil war and their sides competed in both leagues. Persipura competed in the Super League, and thus the Indonesian FA withdrew its participation from the ACL. But then Persipura won temporary appeal in the Court of Arbitration for Sport. The Indonesian FA surprisingly let Persipura had their way, while Adelaide United were understandably unhappy. Now sitting at the bottom of the A-League, they have to hold extra game in mid-week. As for Persipura, they had to lodge in their visa applications on Monday morning for a Thursday evening match. I heard that they arrived in Adelaide on Thursday morning. One off match and the odds were for Adelaide. They put on the A-team, with Djite, van Dijk, Cassio, and Galekovic. Persipura were without its iconic bad boy Boaz Solossa, but still sporting formidable names in Indonesian football, like Yoo Jae-Hoon, Ricardo Salampessy, and SEA Games hero Titus Bonai. And so the result between Australian v Southeast Asian football was clear. Outpaced, overpowered, outclassed. Adelaide scored just after the tenth minute. Persipura were too timid with its midfield and wings passing and were too panicked with their defenses. First sub was made by the half hour mark when Liberian playmaker Krangar replaced defender Padwa. In the end, Adelaide got its goals from two defenders – Boogaard and Levchenko before van Dijk struck for the third. Djite might called the night a bad training session since he missed his chances. Star Sports concluded that the result was the best for both teams. Persipura got their reward for winning the 2011 Indonesian league and represented Indonesia – at least still better than Vietnam, Malaysia, and Singapore which don’t play at all :p. Adelaide got a pick me up game to return their confidence and to warm them up for the upcoming Champions League, and even one goal from Persipura might have dented their confidence. But here’s the most important thing. Had Persipura won, they it’s back to court as AFC had to retract its earlier decision to grant qualification to Adelaide. CAS has to weight in cases from AFC, Indonesian FA, Persipura, and Adelaide United. And yes, the costs of hosting international games and to travel to Japan, Uzbekistan, and…Korea. No, Persipura will not play in the AFC Cup. The aftermath of the game in Indonesia, however, unsettles me. While in Australia it’s another “boy aren’t we good at sports” snip, in Indonesia, as the saying goes, the silent is deafening. Yes, Indonesian press are happy (more than the audience) that Indonesia defeat South Korea in Thomas Cup qualification (that’s men badminton). Hmm…more case for the argument that Indonesians are fickle about their football. I’ve heard Papuans complaining that Indonesians are not proud enough to see Persipura represent Indonesia. No, not really. There are hundred of comments on the few articles reporting Persipura’s defeat in Australia. Most of them are flame wars between people who support and who hate the Premier League. Persipura is taken as the poster boy of the Super League…so…can you spell that particular German word? You know what’s worse? In the growing trend of acceptance of racism in football, some commentators don’t hesitate to use racial slurs on Papuans. Just months after Papuan footballers were hailed as national heroes in the SEA Games. That’s the first punch. The second is about West Papuan flag. Yes, there was a West Papuan flag caught on camera. Not a gigantic one. Just flown probably by some Papuan diaspora in Australia. For Australian audience, it would be just like an indigenous Australian flag, or Catalonian flag, or the People’s Republic of Cork’s flag. I was going to say that in Indonesia it was taken like how Chinese bloggers view a Tibet flag flown in Australia, but I didn’t stumble on many Indonesian blogs making issue about the flag. Indonesian news sites also didn’t report it, because they had to report on the match first. Still, it was raised on the comments section for the wrong reason – Persipura or its supporters are accused of waving the “separatist” flag instead of Indonesian flag, and thus making their sense of nationalism questionable. Duh, they were on the pitch as the away team, and couldn’t be held responsible if someone in Australia flying a flag hated by Indonesian armchair nationalists. Hey, whatever to attack the team you don’t like, eh? There was no Indonesian flag because I supposed no Indonesian in Adelaide was really into Asian football. Heck, had I been in Adelaide, I wouldn’t come to the stadium since it’s damn hard to find another Indonesian interested to see the match, and who’s happened to have an Indonesian flag. Finally, Sergio. Last autumn (spring in Australia) he was hoping that he can play for Indonesia for their final World Cup qualification against Bahrain in February. His name’s not on the training camp list and there’s no result on Google on whether he’s got his Indonesian passport. Probably because the strives inside Indonesian football scares him (it did scare Singaporean Noor Alam Shah) and because the FA is putting too much attention on purging players who are in the Super League. Who knows, perhaps while Sergio thought he could play in Australia and play for Indonesia, which would be very beneficial for the latter, the FA thought that the better idea is for him to play in the Premier League. My, East Asian football. Now that Bunyodkor has to fill in the space for the east, it means there is so many wrong things about you. This entry was posted in Asian Leagues, Continental and tagged Adelaide United, Asian Champions League, Australia, Bunyodkor, controversy, flag, Indonesia, Papua, Persipura, Pohang Steelers, politics, Sergio van Dijk, South Korea, Southeast Asia by asiafootball. Bookmark the permalink.